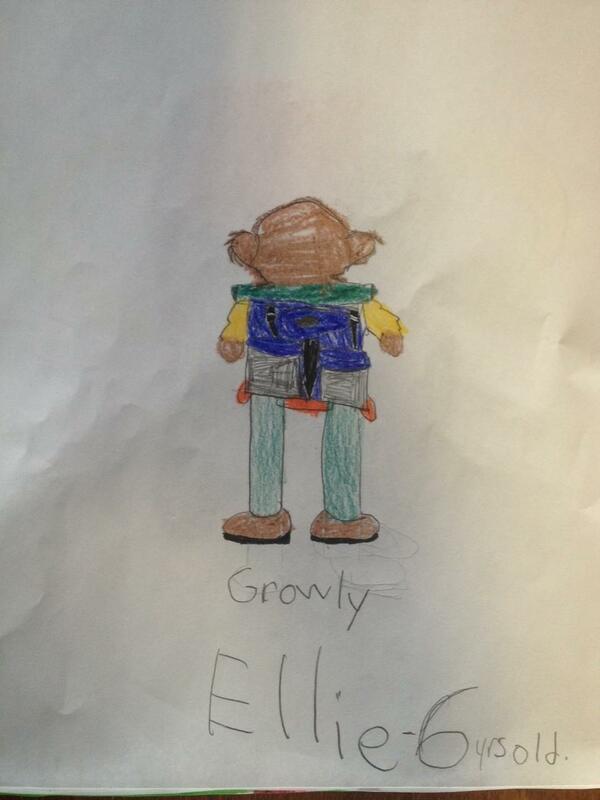 great growly art from our readers! We’re halfway through the Summer Reading Party, and some of our readers have sent in their artwork! 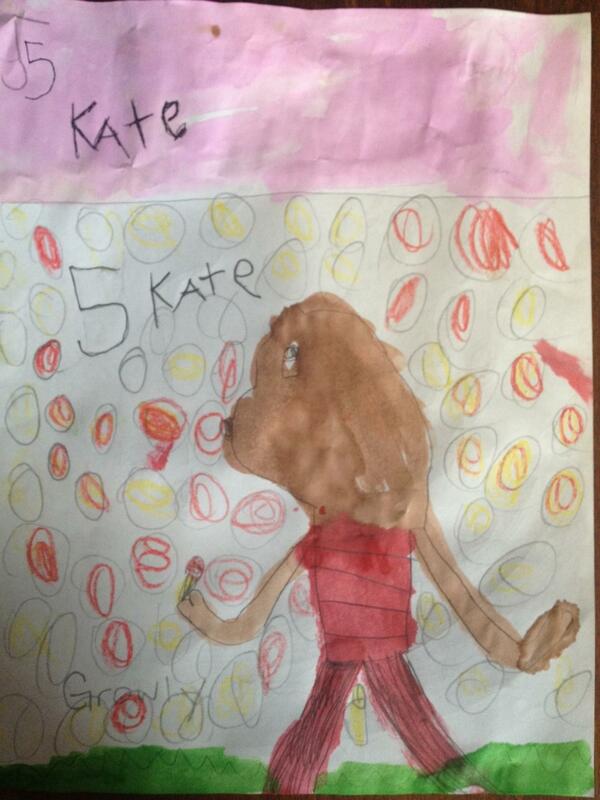 Check out these great drawings from Jackson, Ellie, and Kate Lothenore! This is Growly. Drawn and colored by Ellie Lothenore, age 6. 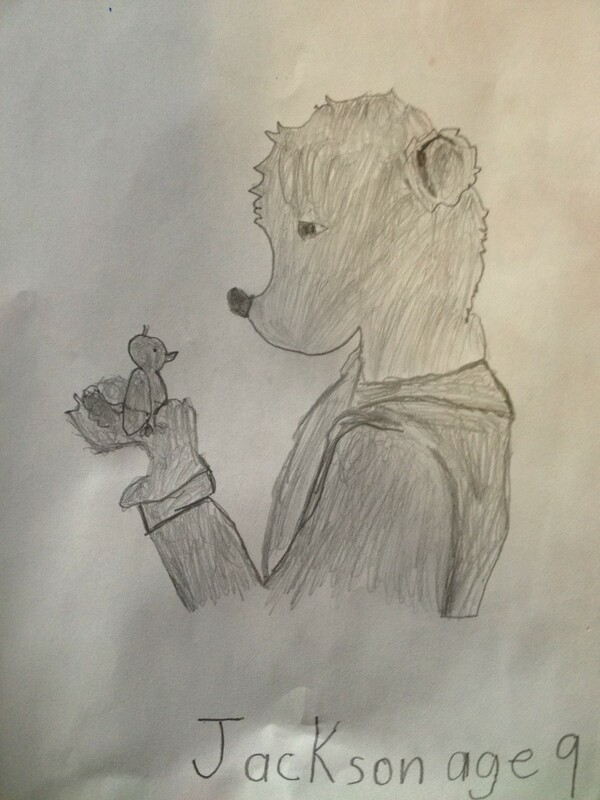 Growly and Tully, by Jackson Lothenore, age 9. Growly holding an ice cream cone, by Kate Lothenore, age 5. 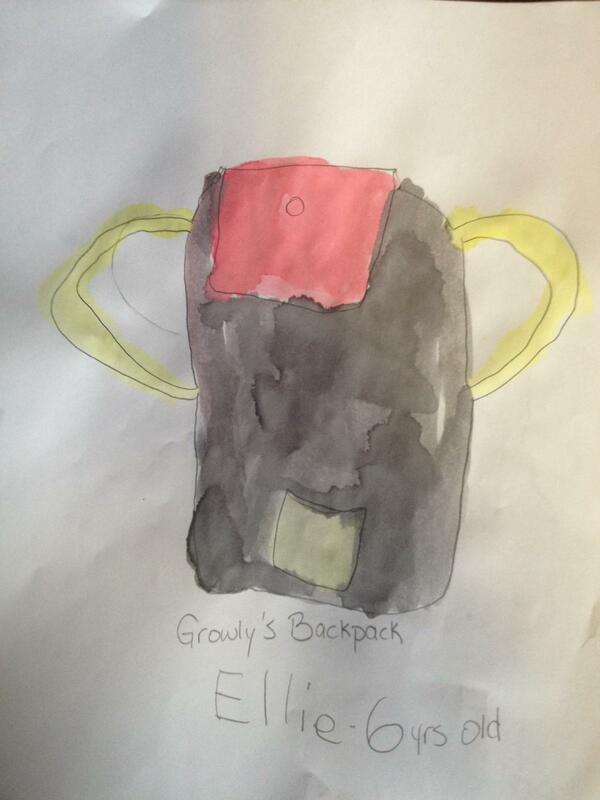 Growly’s backpack, drawn by Ellie Lothenore, age 6, and painted with water colors by Kate Lothenore, age 5.
want to see your artwork featured here? Send us a photo (or scan) of your kids’ drawings (or paintings, or anything artsy) of Growly or any part of the book, and we will post it on The Growly Books blog during the Summer Reading Party. Please send it to mail@thegrowlybooks.com or Instagram it and tag it with #thegrowlybooks. Please tell us how you want us to give credit (child’s name and age, or anonymous, or whatever you prefer). All Summer Reading Party participants who submit artwork will be entered to win a special “artist prize” drawing to be awarded at the end. It’s not too late to join the party! Click here for more info. Story teller. Web designer. Adventure seeker. Works best with coffee in hand. Join The Growly Club to stay up-to-date with all the Growly news. You'll also receive a free short story when you subscribe. Haven't read the books yet? Don't worry, there are no spoilers in the short story!